I resigned from my position because of ongoing discrimination. Can I still bring a discrimination claim against my former employer despite my resignation? Can I still bring a discrimination claim against my former employer if I resigned? Just because you have resigned from your position does not mean you have forfeited your right to make a claim against your former employer for discrimination. Whilst resignation may complicate the matter and potentially diminish any subsequent compensation that you may be entitled to, you can still bring a discrimination claim against your former employer if you resigned from your position in order to escape the ongoing discrimination. No employee should have to work in oppressive conditions, and legislation is in place to protect your rights and prevent you from suffering any detriment in your workplace. Ongoing discrimination in the workplace can seriously affect the physical and psychological health of employees. Many employees are unaware of their rights and entitlements concerning company bullying procedures, anti-discrimination legislation and external complaint procedures. As a consequence, a significant number of employees resign from their position, because it is a more attractive alternative than to allow themselves to be subjected to consistent discrimination. You may have perceived this as the only viable course of action, as the thought of attending your toxic workplace each day, with its oppressive conditions and colleagues that you are exposed to, can be daunting and intimidating. You may make a discrimination claim to the Victorian Equal Opportunity Commission pursuant to the Equal Opportunity Act 2010 (Vic). However your claim may be substantially weakened by the reasons surrounding your resignation. There is a distinction made at law between an employee who has their employment terminated by a decision of the employer, and an employee who resigns on their own terms and at their own initiative. This is known as the distinction between a genuine resignation and constructive dismissal. A greater amount of compensation is awarded by a court or tribunal to an employee who was dismissed for unlawfully discriminatory reasons. The compensation awarded to you by the court or tribunal may be constituted of a payment equivalent to wages that you would have earned if you employment was terminated at the initiative of your employer. In contrast, if you resign from your position you may be limited to compensation for humiliation and denigration and you may be unable to make a claim for compensation for lost wages if the court determines that your resignation was made wilfully and voluntarily. This means that the court will reduce any potential compensation payment made to you if it finds that you resigned from your employment, with little influence on your decision by the conduct of your employer or fellow colleagues. If you believe that the termination of your employment should be classified as a constructive dismissal, rather than a resignation on your terms, the Fair Work Act 2009 (Cth) could provide you with protection from unfair dismissal. Section 385 of the Fair Work Act lists what you must prove to establish that you were unfairly dismissed by your employer. You must show that you have been dismissed, that your dismissal was harsh, unjust or unreasonable, that your dismissal was not consistent with the Small Business Fair Dsimissal Code (if applicable to your employer), and that your dismissal was not a case of genuine redundancy. Section 386 of the Act provides guidelines to determine if you have been dismissed at your employer’s initiative, or if you have resigned on your own terms. This section states that you have been dismissed if your employment was terminated on your employer’s initiative, or if you resigned, but you were forced to do so because of conduct, or a course of conduct engaged in by your employer. It is therefore of great importance that you do not make a hasty and emotional decision to resign. Rather, it is vital that you consider your position carefully and seek advice from an experienced employment lawyer as to how you should manage the situation. If you have resigned from your employment but believe that you were forced to do so because of the conduct of your employer or fellow colleagues, you must apply to Fair Work Australia within 14 days of the conclusion of your employment. If 14 days have lapsed since your resignation or termination, the Tribunal has discretion under s 394 to extend the period within which to make an application by considering the reason for the delay, when you became aware of the dismissal, any action you have taken to dispute your dismissal, prejudice to your employer from the delay, the merits of your application for unfair dismissal and the impact on fairness between yourself and an employee in a similar position. There are also certain advantages and protections if you make equal opportunity claims through the Commission whilst still employed. As well as showing your employer that the conduct of its organisation and employees is wrong and warranted an investigation by the Victorian Equal Opportunity and Human Rights Commission (VEOHRC), the victimisation provisions of the Act will protect you from any further detriment being inflicted upon you as a result of making a complaint. Section 104 of the Equal Opportunity Act 2010 (Vic) protects you from further discrimination and harassment if you have made a complaint with the Commission. 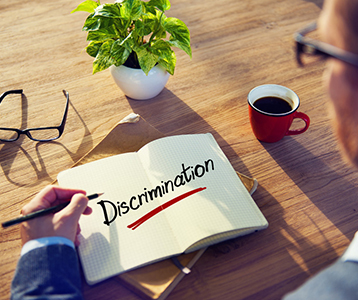 If your employer then decides to dismiss or punish you for making a complaint, it will be further contravening anti-discrimination legislation and further demonstrating to the Commission that you are suffering discrimination in the workplace. This is yet another reason why it is wise, if you are facing constant discrimination in your employment, to seek advice from an employment law practitioner before deciding making the decision to resign from your employment. I have been dismissed , Should I lodge my own Fair Work Commission application before engaging a lawyer? What processes should a company follow before making a redundancy payment to you? What actions can I take when my employment has been transferred from Employer A to Employer B and my position changed? What can I claim in an unfair dismissal application?